Today is the day when we celebrate the birthday of the Elephant-God. As a kid the one story that I have heard the most is the curious tale of Ganesha’s birth. My Granny loved telling the story and I equally loved listening to all her stories. Every morsel that she put in my mouth was accompanied by her interesting narration. It is believed that Goddess Parvati before going to take bath and saw that there were no attendants. Hence she created this figure from the turmeric paste she had prepared for herself and infused life into it. She instructed him to not let anybody in while she was taking bath and Ganesh followed her orders. After a while, Shiva returned from a long period of meditation and tried going in to meet Parvati only to be stopped by this little boy. Shiva was infuriated to be stopped by this stranger. Shiva then told him that he was her husband and demanded to be let in. But this boy would go to any length to keep his word given to Parvati and hence promtly refused. Shiva could not take it any longer and cut his head off to enter inside. Moments later when Parvati came out saw her son’s body lying lifeless and started crying. She demanded that her son be brought back to life immediately. But Shiva couldn’t find the head anywhere. Shiva knew he couldn’t return with out his son’s head and ordered his ganas to get the head of the first creature sleeping facing north which happened to be an elephant. This was then fixed as Parvati’s son’s head. And hence the eleplant head and the name Gana-pathi(head of ganas). Parvati was happy to see him back to life. Shiva also promised Parvati that he would become remover of obstacles and would be worshipped before all the other gods. Hence the name Vignaharta and as a result all occasions starts with Ganesh-pooja. Hope Ganesha removes all obstacles and bring all the happiness and success you deserve in your life..
Pingback: 100% of Ganesh Chaturthi you need. Cool. 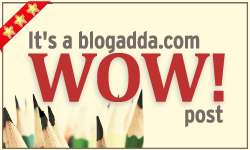 so you were born on Ganesh Chaturthi!!! how are you planning to celebrate this one? To you too. 🙂 Though I think it was wrong of Shiva to take the life of another creature just to rectify his mistake. According to the story, the ganas found a dying elephant which slept in this manner, and after its death took its head, attaching the elephant’s head to Ganesha’s body and bringing him back to life. So Shiva did not take the life of another creature instead it was organ donation at work. Happy Vinayaka Chavithi to you too Sapna..! 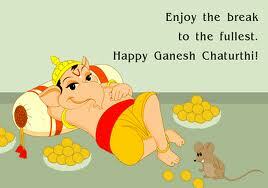 wishin u a very happy ganesh chaturthi…. @Bigluck: Thank you. Wish you the same too. Happy birthday to Ganesha! The only festival I remember from my childhood being with friends on the streets and the small shops in our area, I was allowed to go out and play with. Me being the first child in our family, was always kept in the cage of words without any bars but it still barred me.